Most runners fall on two sides of this issue. Those who rarely, if ever, cross-train because they are RUNNERS! 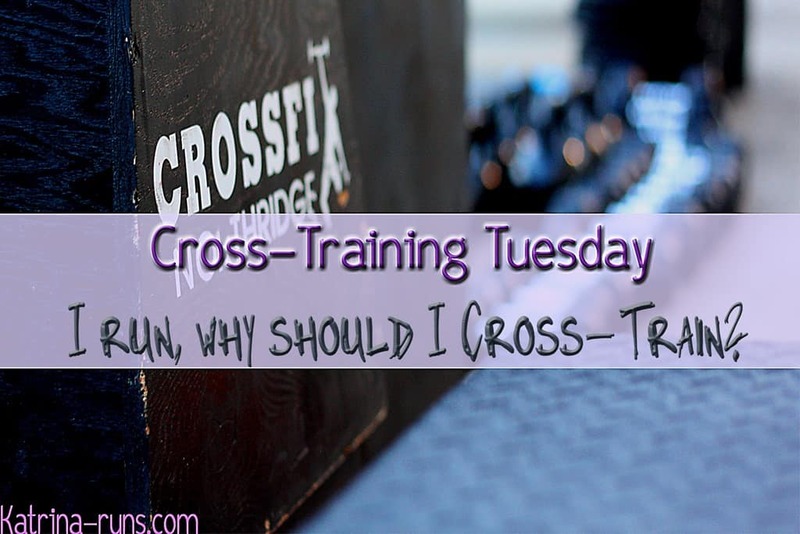 Those who consider cross-training as crucial as running shoes. I’m in the last group. Until I had a long-term injury that left me on the sidelines, my idea of cross-training was stretching my legs. But my physical therapist, during the 9 months of therapy for IT band syndrome, pounded into my head that I wouldn’t be able to continue running if I didn’t learn to do other things while waiting for the injury to heal. And also, once I started running again, I had serious biomechanical problems that would require strength training. Forever. For runners, it is any other activity that mimics the cardiovascular load similar to running. Activities such as biking, swimming, using an elliptical trainer, stair trainer, etc. All of these require similar cardio efforts without the pounding on the legs. Most race training programs suggest a day (or two) of cross-training within a typical running week. It also includes weight training. As Cross-Fit has taken over as the latest “fad”, weight training for runners is a hot topic (although weight lifting is just one part of CF). There are numerous examples of people who effectively weight train and decrease injuries without sacrificing times. There are just as many examples of people who believe weight training slowed their times. It really is individual. Those who support weight training include exercises that train the Big Four areas that are typically a problem area for runners. Squats, deadlifts, burpees, step-ups, and planks are very effective as working most of these areas while working the core muscles as a bonus. 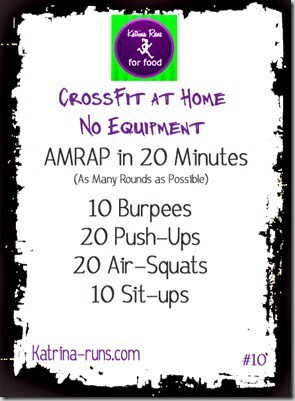 One of my favorite workouts to do at home is the following. 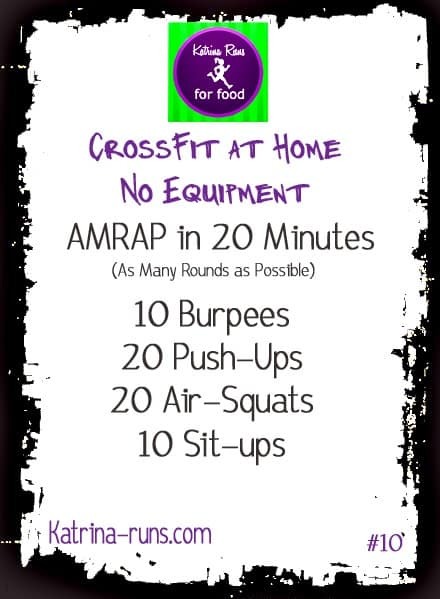 We do a combination of these sets in CrossFit class but they do not require any equipment so they are great for at-home and travelling. 20 minutes, as many rounds as possible. If this seems too much, too soon, just half the repetitions. Some days, I’m exhausted already and I’ll half this and take my time going through it. Burpees are tough and I always feel them after. Below is a very detailed demo. The girl is showing a modified “knee” push-up. Have fun on Cross-Train Tuesday!